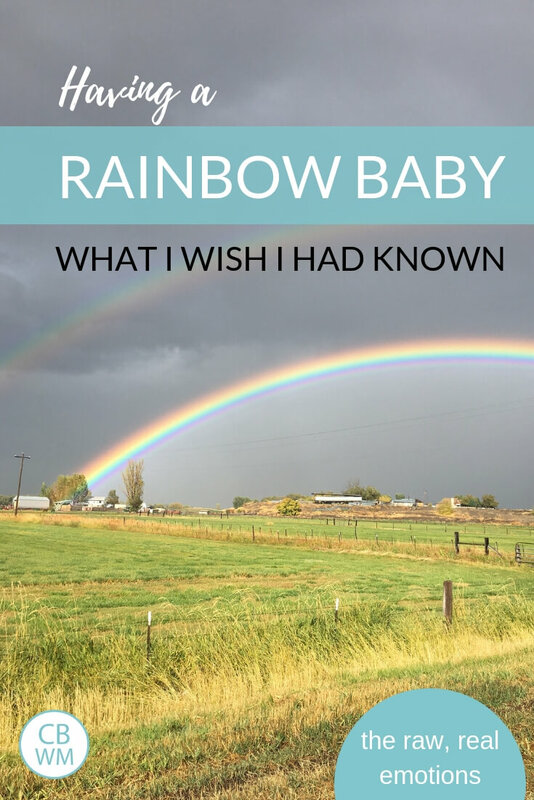 What I Wish I Had Known About Having a Rainbow Baby. The raw, real emotional realities of having a rainbow baby. It isn’t all happiness. I had never had a panic attack in my 24 years on earth, but this sent me straight into one. I can still see the room pulsing and spinning. I can still feel the emotion taking me over. I can’t really remember what I said, but my usual obedient and respectful to authority self refused to stay in that room. I was in labor with my third child. She would be known by most in the world as my second child, but I would always know she is my third. She was and is my rainbow baby. I was in labor. At my previous OB appointment, I had been 4 cm dilated and 90 percent effaced. I knew I didn’t have time to be picky. But I absolutely refused to deliver my baby in that room. Precisely 50 weeks prior, I had delivered her older brother in that exact room. At 20 weeks. He was stillborn. I could not deliver her in that room. As I look back now, I can see there may have been some sort of beautiful poetry to them being born in the same room. I can look back at that now and think that could have been sweet. In the moment, all I knew was fear. I feared losing her as I had lost her brother and I was NOT going to relive that moment. I needed her delivery to be HER delivery. I could not spend my time completely reliving the worst day of my life on the first day of her’s. One nurse looked at me helplessly and explained it was the only room open. I just shook my head. The other nurse jumped to action and soon came back with the good news that someone had just delivered and I could move into that room soon. This moment of sheer panic was not the first unexpected pain I encountered with my rainbow baby, and it certainly was not the last. Little did I know the unique challenges that would accompany me with my rainbow baby. These challenges are frankly still there 11.5 years after her birth. Every time she gets sick, I panic she will die. Her two younger sisters and older brother can get sick with no worry from me, but if she gets sick, the anxiety sets in. A rainbow baby seems like it should be nothing but excitement and joy. Sunshine and rainbows. A sign of love and promise. There are those things. But there are not only those things. There are tears and feelings of doubt, hesitation, shame, guilt, and fear, just to name a few. I wanted to share with you these feelings in hopes of you mamas with a rainbow baby realizing your feelings are perfectly reasonable. There is nothing wrong with you to have those feelings. I also want those who haven’t experienced a rainbow baby to be able to develop more sympathy and empathy for those going through it. It is hard for a mom with a rainbow baby to show anything but happiness because it is hard to understand why there would be anything but that feeling if you haven’t been there. Let’s discuss. So much guilt. You feel guilt over being happy and guilt over being sad. You feel guilty toward your lost baby that you feel happy for a new baby and guilt toward your new baby when you feel sadness about your lost baby. You are happy for a new baby, but sad for the loss of a baby. That guilt doesn’t just end with delivery. When you have the new baby here, you feel guilt for loving new baby. It can feel like you are forgetting your lost baby by allowing yourself to love your rainbow baby. Of course the guilt is unnecessary and unwarranted. The logical side of everyone can see that. But the emotional side feels guilty. You feel like your rainbow baby is somehow “replacing” your lost baby. Of course that isn’t true. Of course that isn’t how you view it. For many people, however, they do view this rainbow baby as a replacement baby. When they expect you to “move on” and to not be sad about your lost baby because you have this new baby, that is expecting you to “replace” the baby. 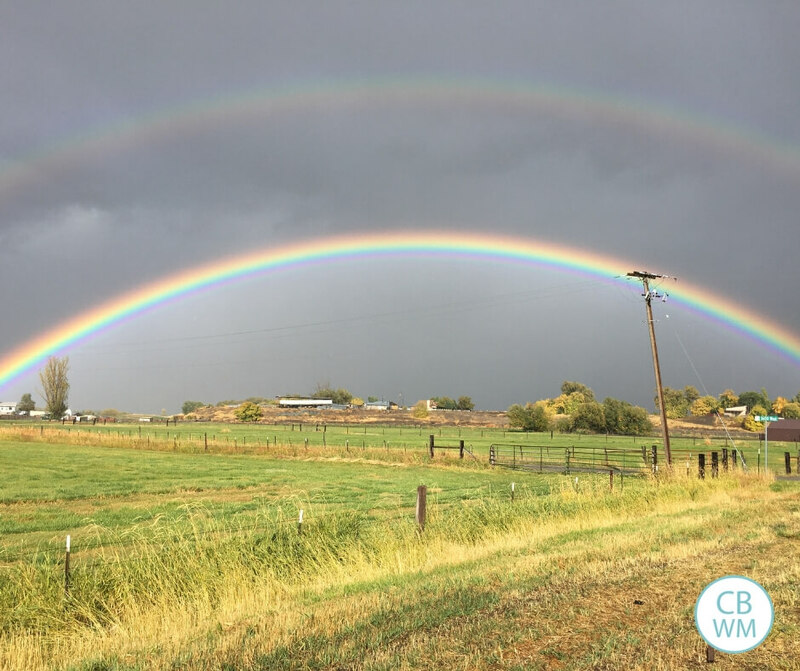 The baby who was lost to miscarriage, stillbirth, or infant death can now be moved past because this new rainbow baby will bring so much joy. Having a new baby does not replace the lost baby. All of the emotions and sadness associated with losing the baby are still there because that baby existed. That baby was an individual. When you have a grandparent pass away, you aren’t expected to not be sad and not miss that one grandparent because you have three others. We need to remove the expectation upon parents to “move on” or “get over” losing a baby when they are able have a rainbow baby. You still miss the lost baby. You just do. As I said above, a rainbow baby does not replace the lost baby. The pain from the baby loss is still pain. It is still there. There was still loss that needs to be grieved. Understand that the grieving process still needs to complete even if a rainbow baby enters the picture. This isn’t a jacket that got lost somewhere. A jacket can be replaced. This is a human. Fear is a strong emotion with a rainbow baby. A mother pregnant with a baby after losing a baby is a mother who often feels fear. Fear of losing this baby, too. The unimaginable has already happened to this mother and it is now a real possibility in life. The pain of losing a baby is intense. There is so much fear that that pain will come again. This can be magnified if there is every any concern or potential complication with the pregnancy. My OB was the absolute best. When I got pregnant with Kaitlyn, he told me to come in every day if I needed to so I could have peace of mind. We did weekly ultrasounds for a bit to monitor things and help assure me everything would be okay. The trouble is only a few weeks in, Kaitlyn did not grow at all between visits. I felt like I had lost a baby all over again. I sobbed and told my husband I couldn’t handle losing another baby. The next week when we went in, she had grown two weeks worth of growth in one week. Oh the relief! Despite that relief, I spent the pregnancy constantly worrying about her. I would pause to feel her move and try to wrestle with the fear in my head. 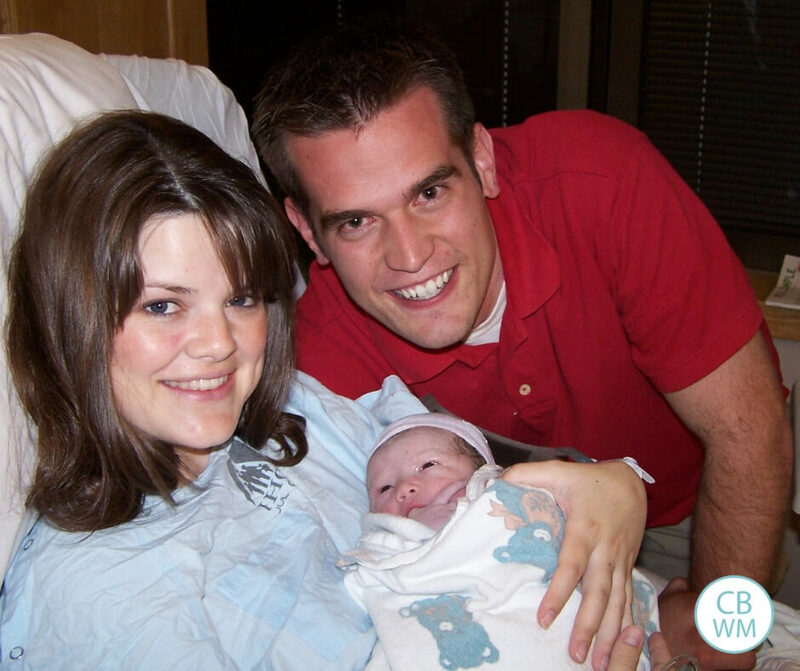 As I shared earlier in this post, there was a lot of fear with Kaitlyn throughout the pregnancy, delivery, and even childhood. You can feel a lot of trepidation with your rainbow baby. In an effort to guard your heart, you may hesitate to bond with new baby. 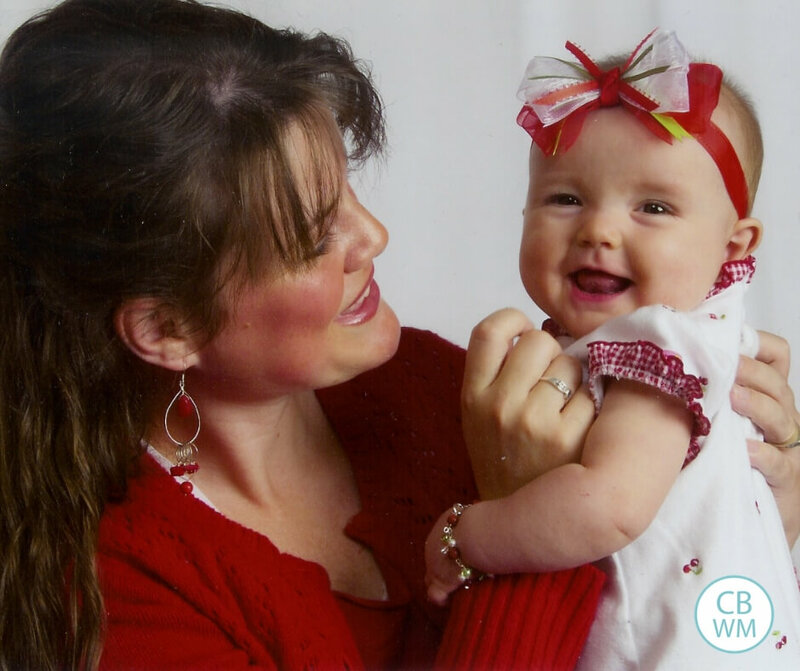 When Kaitlyn was born, she was whisked away to the NICU where she spent a few days. This increased my concern something would happen to her. When she was six weeks old, an on-call doctor insisted she be admitted to the ER (in the end, nothing was wrong). We had scare after scare with her for a while. That didn’t help the trepidation. You might also hesitate to bond because of the guilt you feel about “moving on” from losing a baby. Torn between both babies. For many moms, one baby wouldn’t possibly exist if the other did. This is true for me. If I had not lost Braxston, then Kaitlyn wouldn’t have been able to be born. It is hard to go all in with your heart because you know this baby is only here because another isn’t. You don’t have to forget one or ignore the other. Just as you can love more than one child in your home, you can love both your lost child and your rainbow baby. All of these emotions, along with any others you might be wrestling with, do not need to control you. They are difficult. They can consume you. You can overcome. The first thing to do is acknowledge that you have the feelings and let yourself work through them. Burying emotions never works well. Feel the emotions. Have the experience. Let yourself work through the emotions. At the same time, look at the logical point of view. Have the courage to open your heart to potential pain. Understand it is okay to celebrate a baby fully; it does not take away from the baby you lost. By the same token, it is okay to mourn your lost baby. That does not take away from the love you have for any other child. A rainbow baby can bring healing. Not because the rainbow baby replaces anyone or fills any holes in your heart. A rainbow baby brings healing because you open your heart up to that baby. You do not close it off to protect it. You risk that pain again so you can feel that love again. Love always heals.